Perched atop a headland with 270-degree views of the Pacific Ocean, we're fortunate to be centrally located to all of Popoyo's most acclaimed surf breaks. Location map and forecast. From here, you've sight of Popoyo's main break The Outer Reef (world-class heavy, heaving wall not for the faint-hearted), and Santana's (fast, hollow beach break which catches most swells). Don´t worry about bringing your board, we have a huge range of short (6'0'' - 7'0''), beginner and longboards (7’6” – 9’0”) available for all levels and conditions. Leashes and wax are included. Our experienced surf instructors are ready and waiting to get you in the water and on the waves. They begin with basics, and then let you learn by doing, with their individual guidance and instruction. 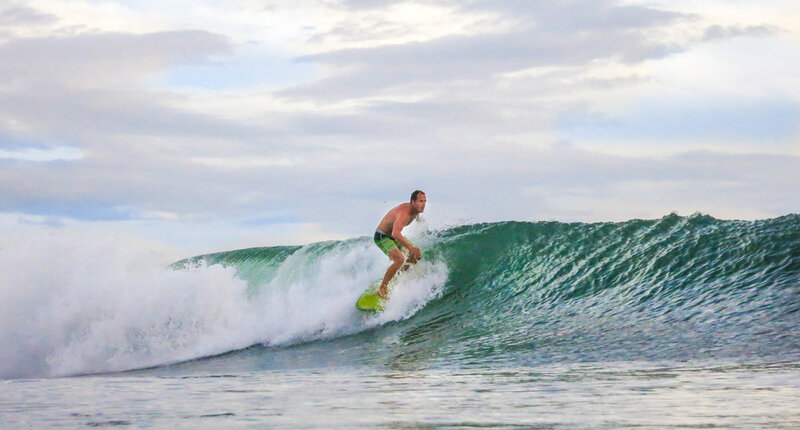 Book our experienced guides for a day to take care that you are always surfing the best surf spots according to your surfing level, wind and tides. Guide, transport, drinks and lunch included. Enquire about pricing. 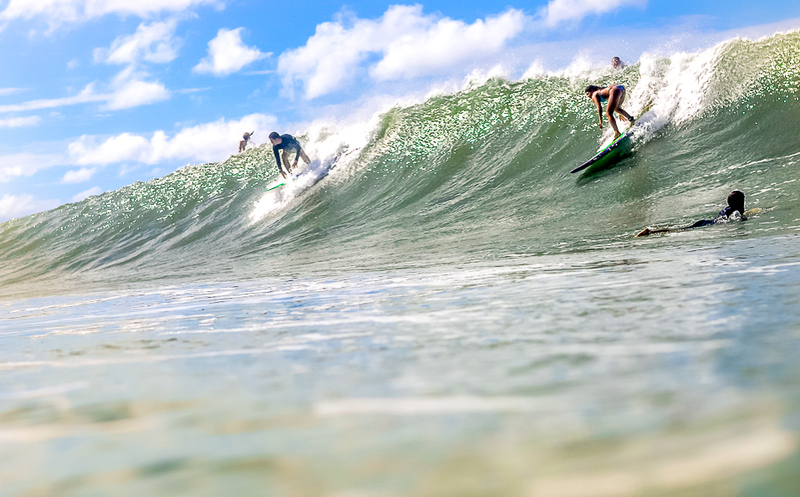 Capture your magic moments in the surf with our experienced surf photographer Marco. Marco is a surf lover from Montreal, and is a professional at catching the action on waves around the globe. It would his pleasure to provide you with a surfing memory to treasure. Check out his work here. Small selection of the boards we have available. Interested in coming to Magnific Rock to host a surf camp retreat? We can accommodate! We recommend combining your camp with added yoga sessions for the ultimate experience.